1. Did you "see" your teacher's diploma? Is it a diploma or a certificate? 2. Is the teacher a highschool or a university level graduate? 3. Does the "displayed" staff really enter the classes? 4. Is the school "Ministry of Education Approved"? 5. Is there written proof of proficiency on the ballet systems? 6. What is the acceptance rate of graduates by the conservatories? 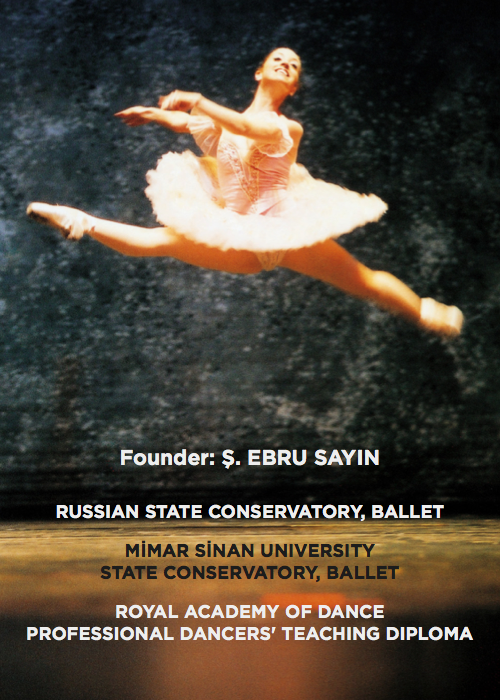 Founder, Ş. Ebru Sayın, is herself a Russian State Conservatory graduate, from the very same school as Rudolf Nureyev. She later got accepted by Mimar Sinan University and is still the only ballerina to be accepted directly from year two and graduated in just tree years. 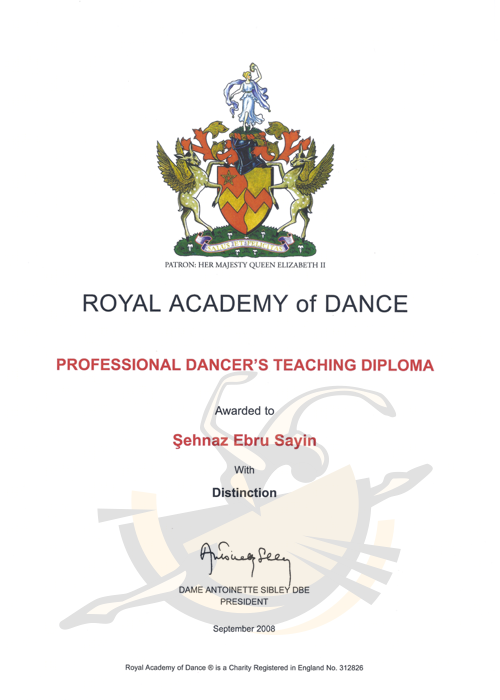 She is the “only” ballet teacher to be accepted for the Royal Academy of Dance, “Professional Dancers Teaching Diploma” program from Turkey in the last 60 years and graduated with “Distinction”, the highest possible achievement. She ranked 5th at International Sanlam Ballet Competition representing Turkey at the age of nineteen.